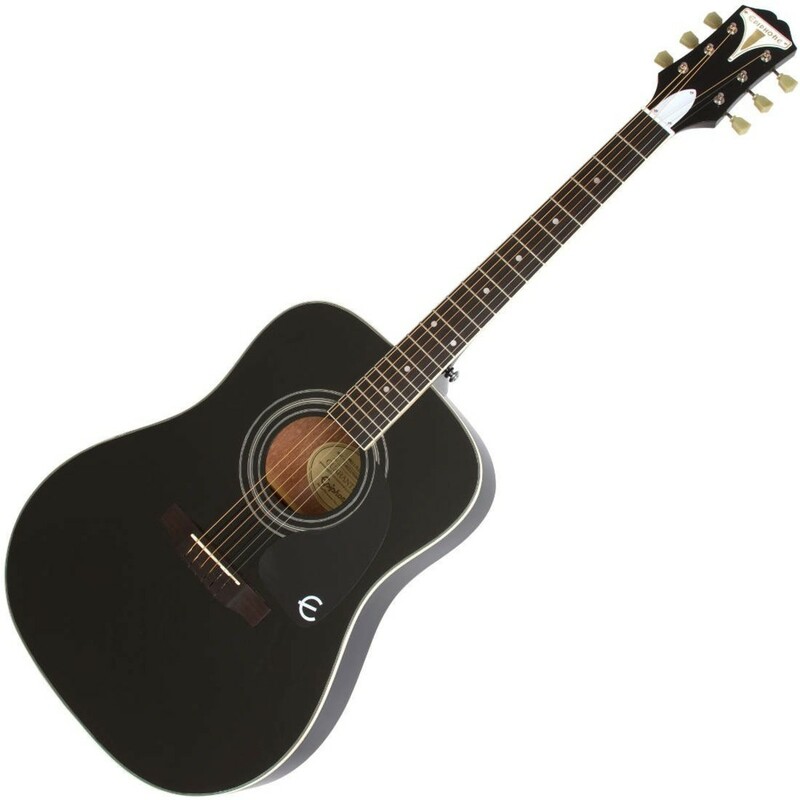 The Epiphone Pro-1 Acoustic Guitar is the perfect, custom designed solution to some of the biggest obstacles new guitar players face. Following extensive research and over 200 years of guitar building experience, Epiphone have designed this ultra-affordable acoustic to make life as easy as possible for new players. If you ever wanted to learn guitar, or you have a loved one who fancies themselves as the next Dylan, the Pro-1 guitar is the only instrument you should consider! 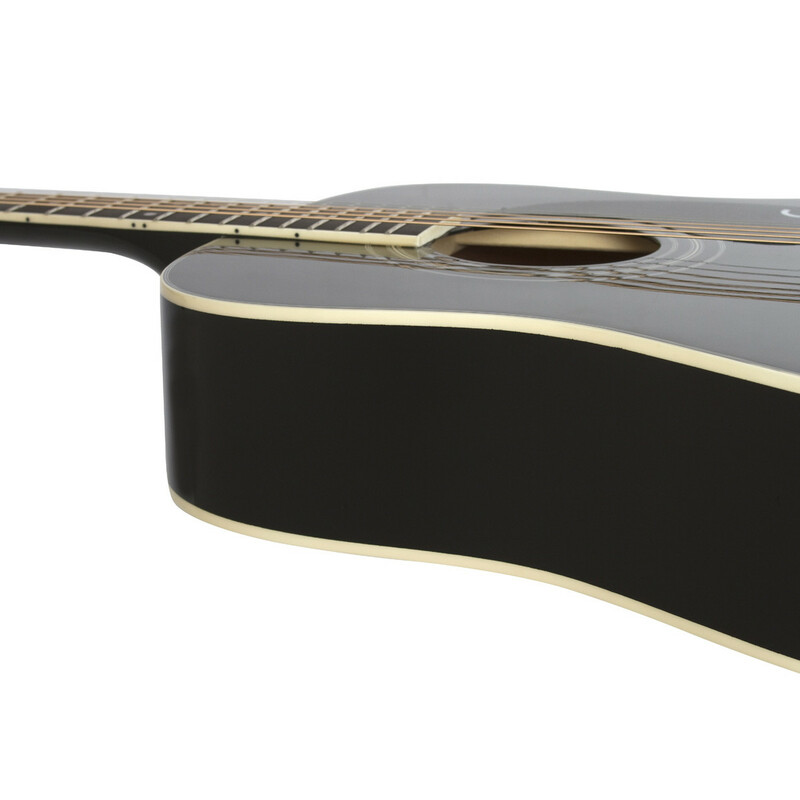 The Pro-1 PLUS acoustic has been designed to make learning the guitar as easy as possible. A key feature is the shorter scale length. This offers two huge advantages - frets that are closer together and a slight reduction in string tension. Closer frets make it easier for new players, or younger players, to create the chord shapes and fret the instrument cleanly. Likewise, a reduction in string tension requires less effort to cleanly fret the guitar. The Pro-1 PLUS features ultra-light strings, which also reduces the amount of effort required to fret the guitar cleanly and produce a correct sound. Finger pain from tough strings is eliminated and likewise hand cramps will be reduced. Fortunately the Epiphone Pro-1 PLUS guitar combats this problem by offering a significantly thinner body. This enables any player to sit comfortably, play confidently and spend more time focusing on their playing! The Pro-1 PLUS series also features an innovative 'EZ String' bridge, which doesn't feature bridge pins. This makes restringing the guitar super simple. 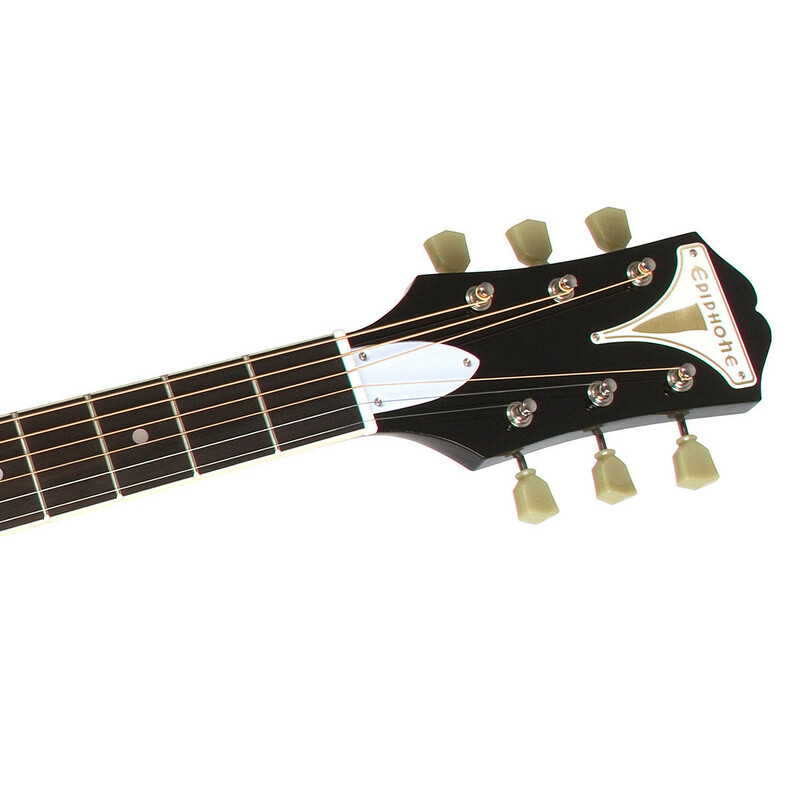 All Epiphone Pro-1 PLUS guitars feature jumbo frets to make life even easier for beginners. Why is this an advantage? Well, aside from making general fretting easier, jumbo frets also enable players to master key playing techniques such as bending, hammer ons and pull offs. The larger fret size makes it easier for inexperienced players to make plenty of contact with the strings and learn these key fundamentals that will become an every day part of playing. The Pro-1 PLUS is the next step up from the Pro-1. 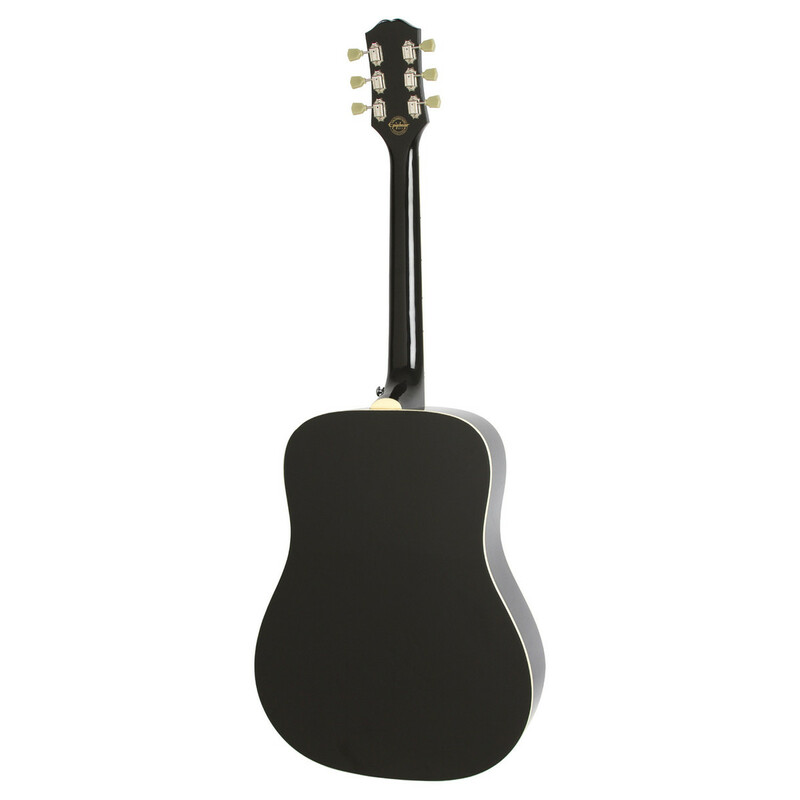 It has a Solid Spruce top and extra touches such as a bound fingerbound and multi bound body.